The Chicago Auto Show, first staged in 1901, is the largest auto show in North America and has been held more times than any other auto exposition on the continent. This year marks the 104th edition of the Chicago Auto Show. 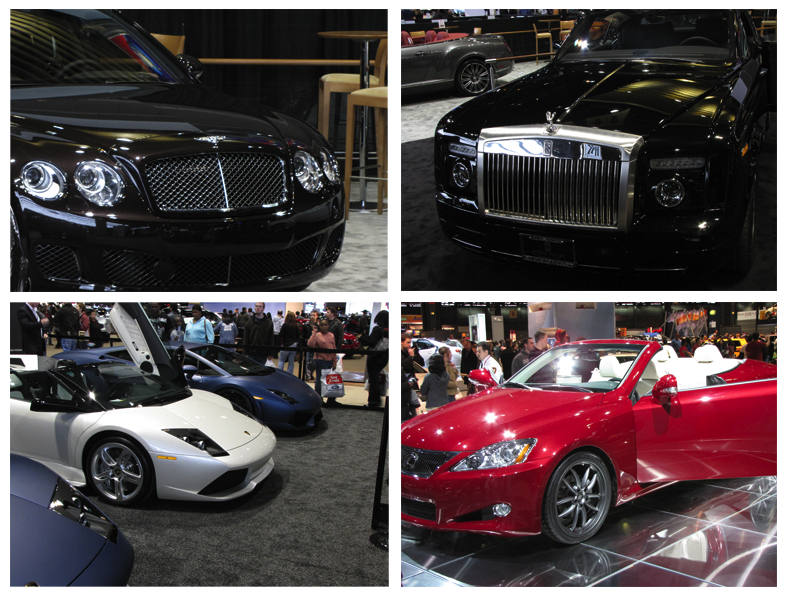 The Chicago Auto Show utilizes 1.2million square feet of the McCormick Place complex. The McCormick Place offers a total of 2.7 million square feet of exhibit halls with an additional 700,000 square feet of meeting room availability. Every year, I enjoy going to the Chicago Auto Show, but for the past 2 years it has been a waste of money. The Auto Show is supposed to give us a look at the new cars for the upcoming year. This year, they did not show good cars like they did in 2010 and the years before. I have classic photos of the way the old auto shows looked. It’s so disappointing not being able to get a real car show. A look at the real cars like these is very fulfilling for me. I want the old show back. Come on Chicago Auto Show, let’s get with it.